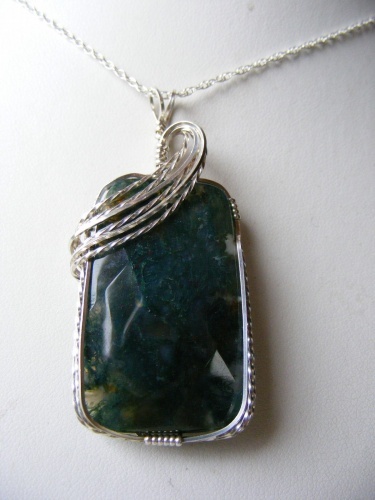 This piece of moss agate gemstone is a true statement of elegance. Sculpted in argentium silver twisted wire swirls, it just pops with style. Comes with a sterling silver chain.